Mountain retreat or everyday home! 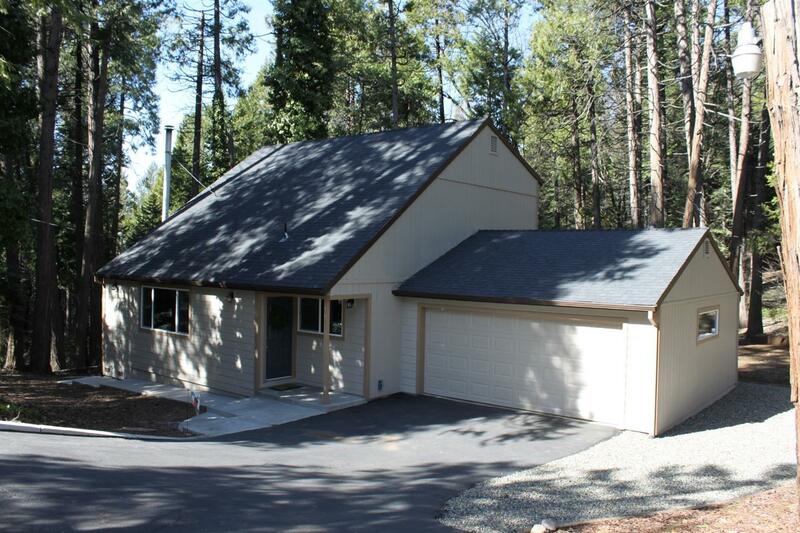 Nestled in the peaceful and serene Gold Ridge Community of Pollock Pines. Close to skiing, hiking, biking, swimming, and much more! This home has been brought back to life inside and out. Kitchen boasts beautiful Maple Shaker cabinets, granite counter tops, and new Black SS appliances. Waterproof flooring throughout with carpet in the bedrooms. Enjoy the cooler nights by the woodstove or the added central heat. Are you ready for the relaxation of mountain life?